Yes, they can. While I haven’t experienced it first hand, I’ve read somewhere that hitched horses in towns can be stolen. 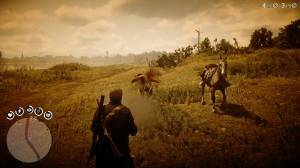 Once it’s stolen, it’s gone forever so you’ll have no choice but to reload a previous save to get your horse back. While riding in the wilderness, you also have to look out for hijackers pretending to be someone who needs help. 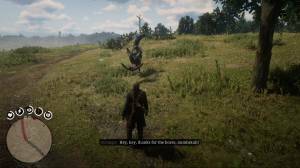 When you stop by to help them, they’ll knock you over your horse and attempt to leave. 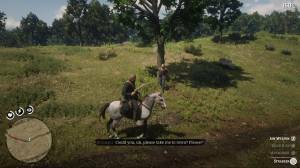 You can shoot them immediately or better yet, whistle to your horse to stop it and throw the thief off. You can then kill the thief without any honor loss.